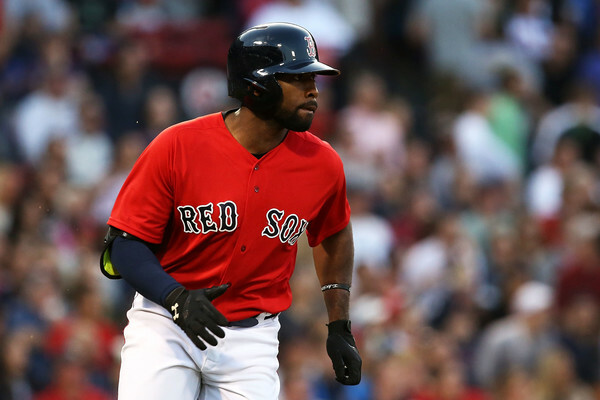 Jackie Bradley Jr. has hit in 27 straight ballgames for the Boston Red Sox. He did it by lacing a line drive single off Danny Salazar on Sunday. Just about the time that national attention turns to a streak like this, it ends. You have to figure we’re getting to that point; so enjoy the next game or two (we hope we are wrong). We always think of Luis Castillo’s 35-game hit streak in 2002. That one was a fun one. He was so damn fast and so hot, I thought he might get to 50. Jackie Bradley Jr. has clearly broke out though as a bonafide big leaguer with this streak, which has seen him hit .411 in the midst of it.